Our must-have Mobile Makeup System, the MMS Bag coupled with MMS Mirror, combines to create the perfect pop-up vanity. Just slide the mirror into the back of the bag using our 3 pointed hook system, and adjust the bag straps to find your ideal height. When you're done applying your makeup, secure your products into their unique compartments, flip the light off, zip & go - the MMS bag doubles as a chic handbag! Carry everything you need to apply your makeup under any condition, or set up as a stationary system at home or work. I really love this the only thing is it could be a little deeper. 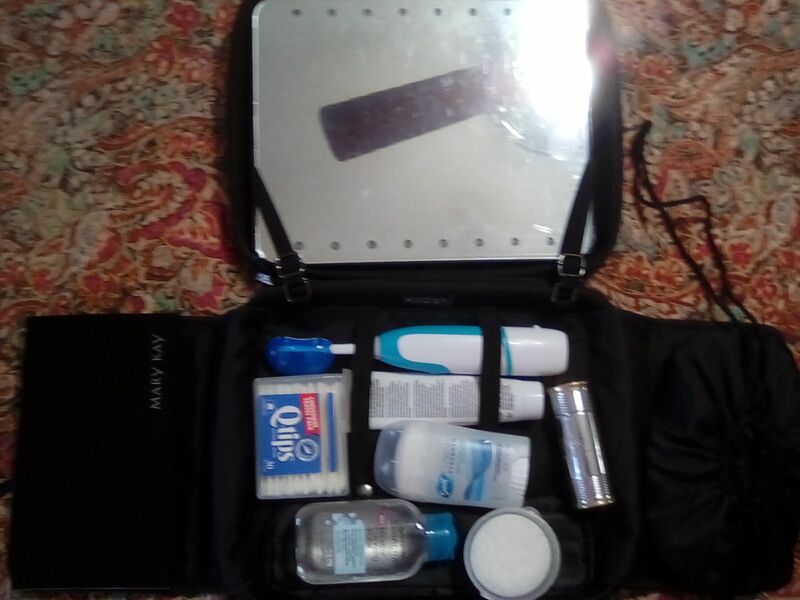 When I put the mirror in the case of doesn't leave much room for my stuff. I bought 4 of these on sale at Christmas for myself and my 3 daughters in law. They are wonderful for trips where there are shared bathrooms and it’s nice to have another spot to do your makeup. Great storage and organization! I can’t figure out how to attach the mirror securely, but that could just be me. I loved it on our family trip, and now I use it on my bathroom counter to store the makeup I use daily. Love the bags they are amazing along with the mirror the lights are great!! I love this bundle...it literally saves me between 10-15 minutes during my morning routine because I can do my makeup in the office discretely! I love the idea. The case is hard, smartly designed and attractive. I do wish it was larger and that the suction cups held items more securely.